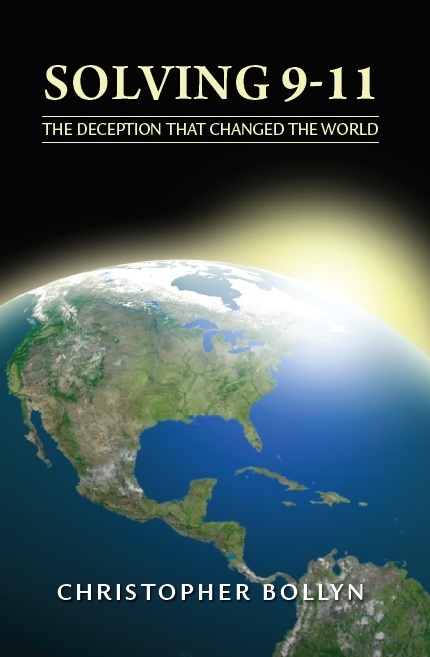 Israel's History of False Flag Operations against the U.S.A.
Excerpt: "The United States is bogged down in a costly quagmire in the Middle East, engaged in covert military operations in countries where there is no real U.S. interest. We have gained nothing from 17 years of war in which untold thousands have been killed or maimed and entire nations have been devastated. Our Middle East policy is disastrous and must be changed. If we don't change our policy we can only expect more of the same – millions more refugees, thousands more dead, trillions more wasted. •1954 JUL – The Lavon Affair: Israeli agents place bombs in U.S. and British libraries and institutions in Egypt in a false-flag operation meant to be blamed on the Muslim Brotherhood. •1967 JUN – Israeli aircraft and ships attack the defenseless USS Liberty, killing 34 and wounding 171, with the intention of sinking the ship – with no survivors – so that the blame could be assigned to Egypt. •1983 OCT – A truck bomb kills 241 Marines in their barracks in Beirut. Former Mossad agent Victor Ostrovsky says Mossad knew the details of the truck, the time, and location of the bombing, but only gave a general warning to the Americans. A nebulous "Islamic Jihad" group is blamed; Defense Secretary Caspar Weinberger says U.S. has no knowledge who really did the bombing. This occurred one month after a single Marine stopped an Israeli tank column – some former Marines believe Israel organized the attack. •1986 FEB – Mossad plants a radio relay device in an apartment in Tripoli, Libya, to send fake messages that appear to be from the Libyan government; U.S. intelligence is successfully tricked and President Reagan orders bombing of Libya. 1982 FEB – Israeli Likud strategist Oded Yinon plan calls for the “dissolution of Syria and Iraq" and Balkanization of all Arab states. 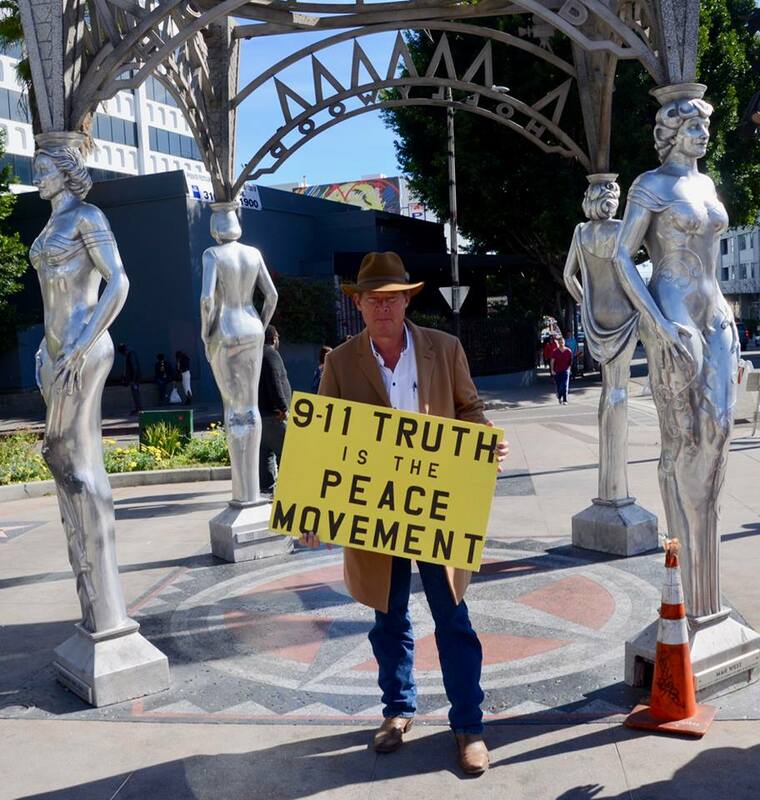 Until today – Controlled media ignores crucial 9/11 questions and evidence. Media pushes false narrative about 9/11 and the War on Terror while ignoring evidence that disproves the official myth." 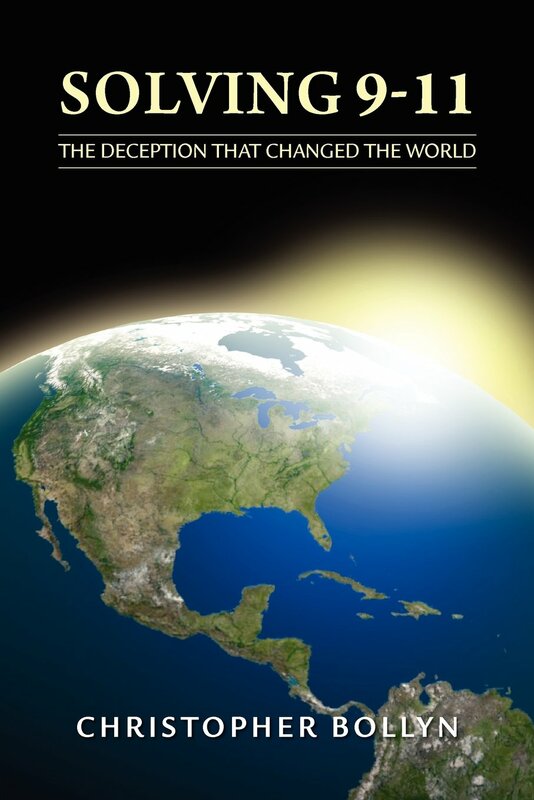 I am writing a small book with the working title, The War on Terror: A Global Deception. I hope to create a basic book of fewer than one hundred pages, as short and concise as Thomas Paine's Common Sense, to disabuse people of the deception behind the War on Terror. I would like to make it something so affordable that I could give it to people who donate a few dollars to attend my events. This is the preface that I have written to explain why I am writing the book. Why write a book about the War on Terror? 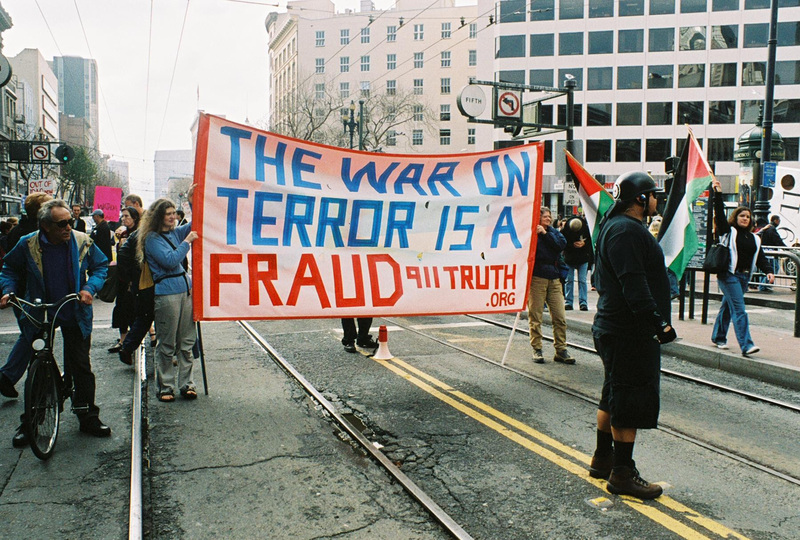 People who understand the deception of 9/11 are able to easily grasp the fraud behind the so-called War on Terror. For fifteen and a half years, the U.S. government and controlled media have pushed an utterly false narrative, a fabrication blaming Osama bin Laden and his band of "Islamic terrorists" for the destruction and huge loss of life on 9/11, without ever actually proving their case. Based on this unproven narrative, which has been parroted by the media without question, President George W. Bush and his cabinet decided to wage war against Afghanistan on 9/11. Presidents Obama and Trump have continued to support this false narrative – and the war it brought us. Although evidence proving the falseness of the government and media story about 9/11 was readily apparent, by ignoring the evidence the pro-war government and controlled media juggernaut rolled over the facts and those who used them to challenge to government's war policy in the Middle East. Had the so-called mainstream media functioned properly and simply reported the salient facts and observations that contradicted the official myth, such as the evidence of explosions and the presence of tons of molten metal in the Twin Towers and the dust thereof, and discussed what they meant, the public would have been in a much better position to understand that they were being bamboozled and that 9/11 was a false-flag terror operation designed to be blamed on Osama bin Laden and Al Qaida in order to start the long-planned War on Terror. 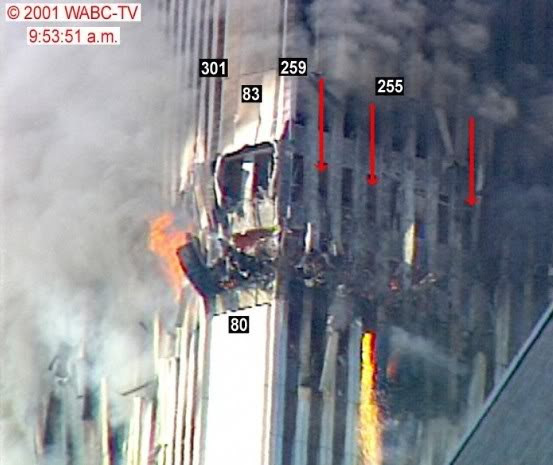 The presence of tons of molten iron seen falling from the 81st floor of the South Tower for seven minutes before it was demolished has never been discussed by the mainstream media because it contradicts the official myth. Since 9/11, the mainstream media, consolidated as it is, has spoken with one voice consistently supporting the official myth about the terror attacks and the War on Terror that followed in their wake. The average person, overwhelmed by the shock and awe of the 9/11 spectacle and conditioned to believe the government and mainstream media, was in no position to question or challenge the official story, which was used to take the nation to war. Al-Qaeda is to terror what the mafia is to crime. But its goal is not making money; its goal is remaking the world and imposing its radical beliefs on people everywhere… The terrorists' directive commands them to kill Christians and Jews, to kill all Americans, and make no distinctions among military and civilians, including women and children… Our war on terror begins with al-Qaeda, but it does not end there. It will not end until every terrorist group of global reach has been found, stopped, and defeated. 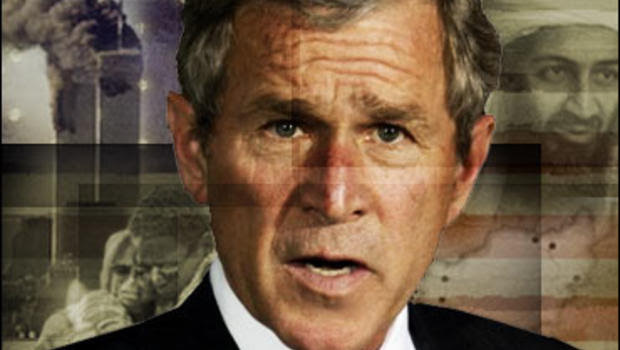 Nine days after 9/11, Bush was preparing the nation for an open-ended War on Terror that was evidently being planned at the Pentagon to overthrow a series of Middle Eastern nations. Years later, General Wesley Clark described how he learned in October 2001 about a memo from the Secretary of Defense's office that called for the U.S. military to "take out seven countries in five years, starting with Iraq, and then Syria, Lebanon, Libya, Somalia, Sudan and, finishing off, Iran." The Pentagon memo to "take out seven countries in five years" raises several questions of the utmost importance. Firstly, which came first? The agenda to take out seven countries or the terror attacks of 9/11? And secondly, is this aggressive war agenda in the Middle East really in America's best interest, or is it being waged in someone else's interest? It may come as a surprise to learn that the War on Terror doctrine goes back decades before 9/11 and is the product of Israeli military intelligence, not the Pentagon. 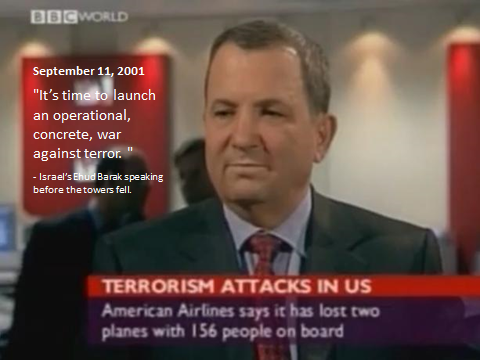 Likewise, it was Ehud Barak, the former head of Israeli military intelligence, who first appeared on the BBC World television network shortly after the planes struck the World Trade Center calling for the U.S. to launch "an operational, concrete, war against terror." There is simply no disputing the fact that the War on Terror is a Zionist construct, a stratagem of Israeli military intelligence that has been advocated by Benjamin Netanyahu since the late 1970s. 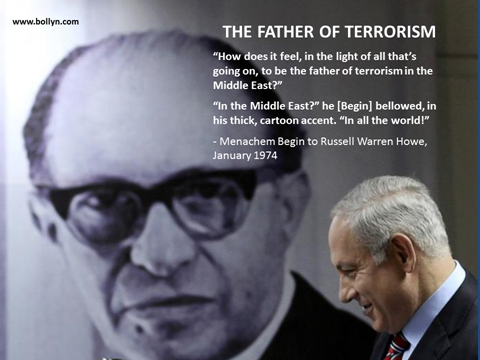 Netanyahu and his father, working under Prime Minister Menachem Begin, the self-proclaimed "Father of Terrorism," arranged an international conference on terrorism in Jerusalem in July 1979. The Jerusalem Conference on International Terrorism began a "propaganda offensive to promote and exploit the issue of international terrorism," as Philip Paull wrote in his 1982 thesis on the conference. The Global War on Terror has radically changed the quality of life for Americans, but it has not been a change for the better. With trillions of borrowed dollars spent waging senseless wars in far-flung nations where there is no U.S. national interest, it would be hard to say that there has been any benefit to the American people to compensate for the trillions of dollars spent and thousands of lives wasted. 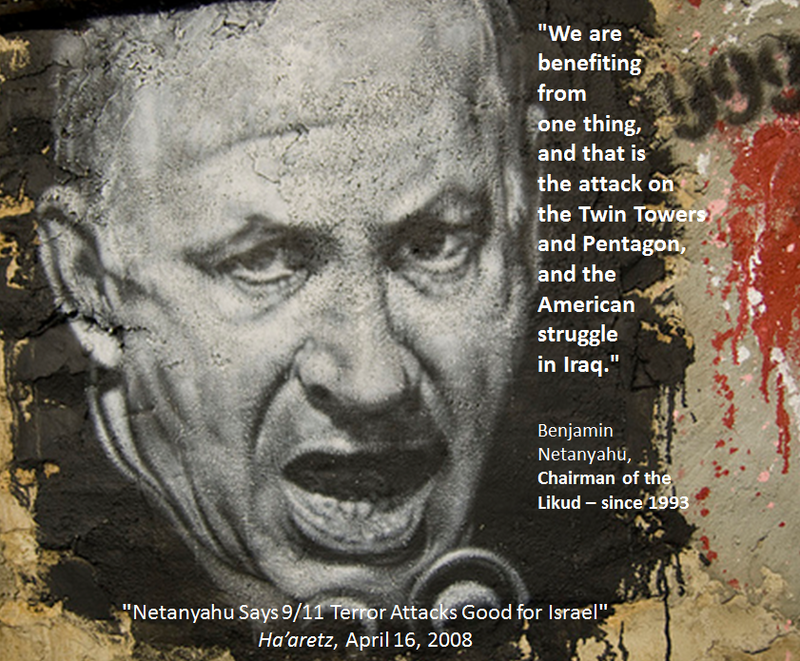 Benjamin Netanyahu, on the other hand, openly told Israeli students in 2008 that the 9/11 terror attacks had been beneficial for Israel, saying, "We are benefiting from one thing, and that is the attack on the Twin Towers and Pentagon, and the American struggle in Iraq." Well, if the War on Terror is an Israeli stratagem dating back to the 1970s to get the U.S. military to fight Israel's enemies, it seems we have answered the first question about which came first. The terror attacks of 9/11 did not bring us the War on Terror, rather the Israeli War on Terror project brought us 9/11, a false-flag atrocity designed to make the Zionist war agenda "operational". Secondly, if Benjamin Netanyahu, the Israeli prime minister and leading advocate of the War on Terror doctrine, tells Israelis they are "benefiting" from 9/11 and the "American struggle in Iraq" we have a clear answer to the second question about whose national interest is being served by the fifteen-year old War on Terror, and it is not ours. Combining these facts about the War on Terror with those presented in my Solving 9-11 set of books, in which I expose the Israeli role in the false-flag terror attacks and subsequent cover-up, it becomes obvious that 9/11 and the War on Terror are both products of Israeli military intelligence and that the terrorism atrocity was carried out to realize the Zionist war agenda. 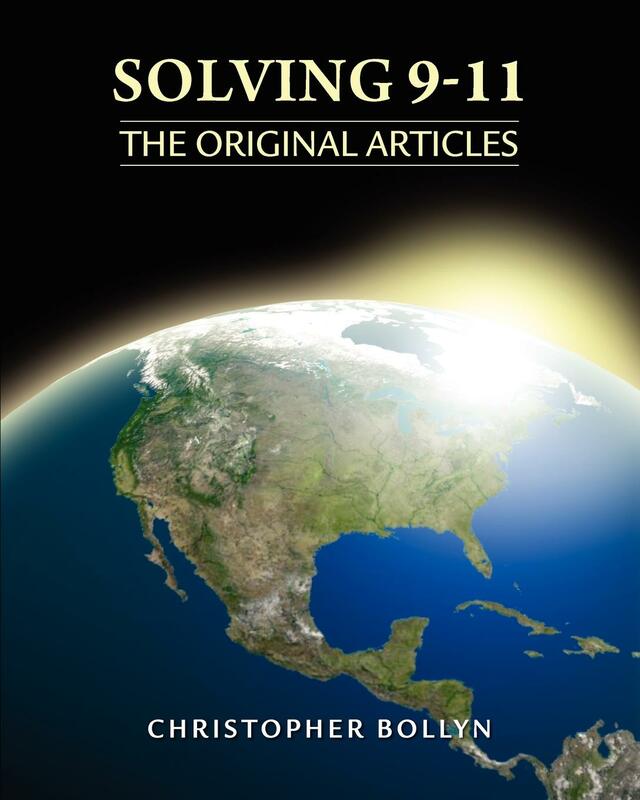 The Solving 9-11 set of books explain and document the involvement of Israeli military intelligence in the false-flag terror attacks - and the cover-up. This analysis, which is based on facts, is diametrically opposed to the interpretation of the War on Terror provided by the government and controlled media, which have deceived us for 15 years. This is why I am writing a book about the War on Terror. We have to re-claim our reality. 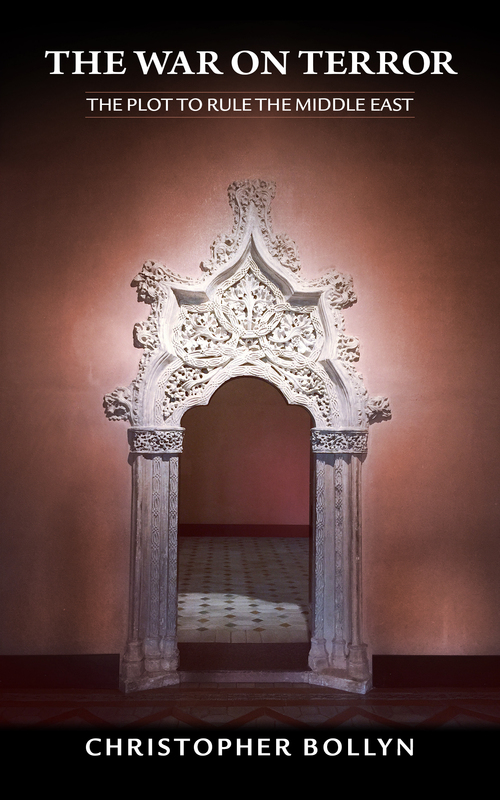 We simply cannot let scoundrels impose an artificial reality and false history upon us. A nation that is deceived into war is not a free nation of free people. A deceived nation is an enslaved nation. We cannot thrive if we are burdened with such an evil deception. The War on Terror has destroyed thousands of lives as it has grossly perverted our thinking and plundered our national wealth. It has gone on now for fifteen and a half years and yet there is virtually no resistance to it. I am writing this book to help people understand the deception, because we can only resist the war if we understand what it is - in reality. 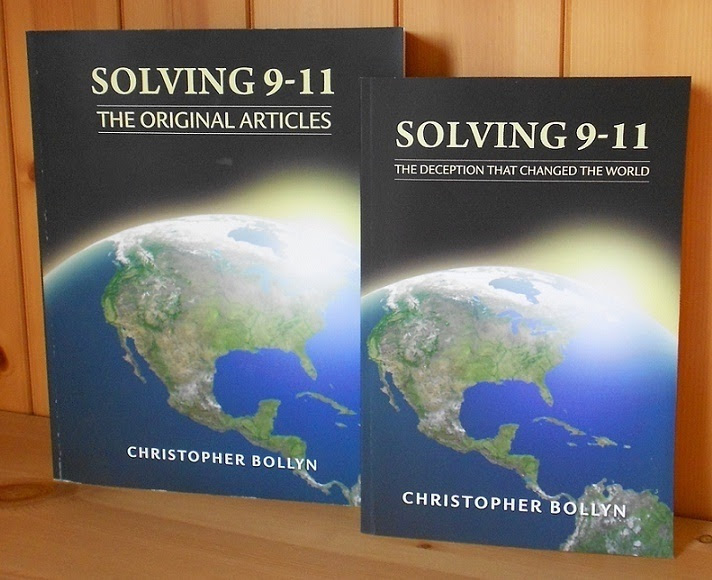 A collection of journalist Christopher Bollyn's original research articles about the terror attacks of September 11, 2001, Solving 9-11: The Original Articles is the second volume in the Solving 9-11 set. 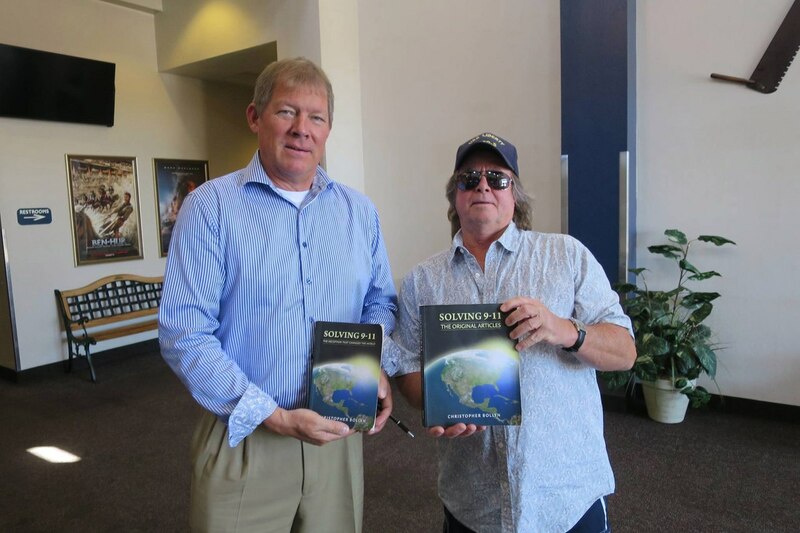 Dating from September 2001 to 2012, the articles contain the factual information upon which Solving 9-11: The Deception that Changed the World is based. Assad: "Terrorists are fighting for Israel"
Dying 9/11 First Responder - Avenge Us. - the longest and most expensive war in U.S. history.